Very cool time-lapse photography of the stadium showing the filling up and then emptying of the stadium for the duration of the day. 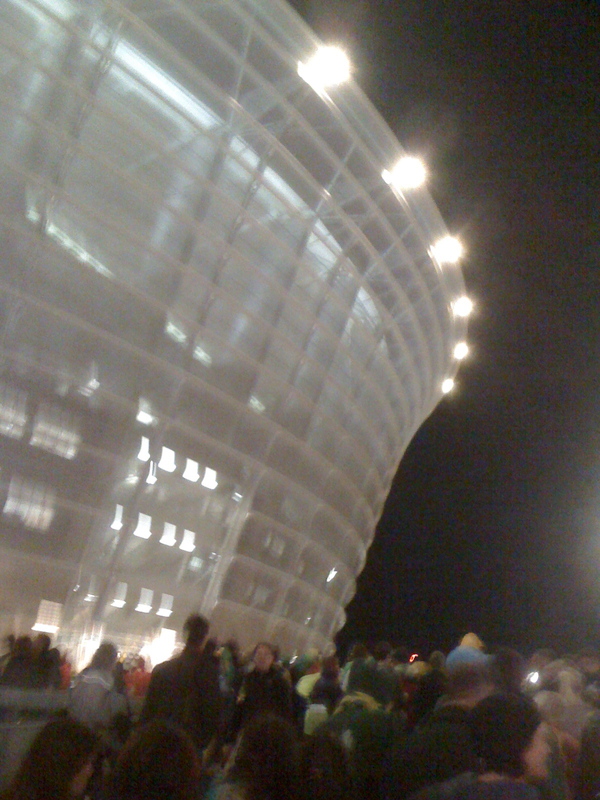 Maynu and Joel were there and can comment that the stadium is unbelievably well-designed and empties in less than 5 minutes. It reminds us of Stade de Francais in Paris, not suprising since it was architected, built and managed by the same company. We were also delighted to see Thierry get to play before the end of the match (even though he should have been on from the beginning). 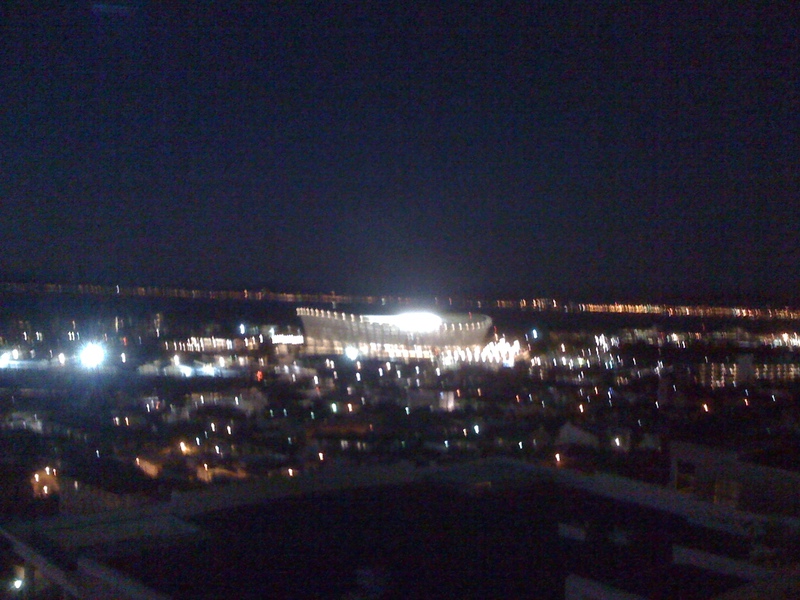 Stadium from the top of Greenpoint. The stadium from up close. 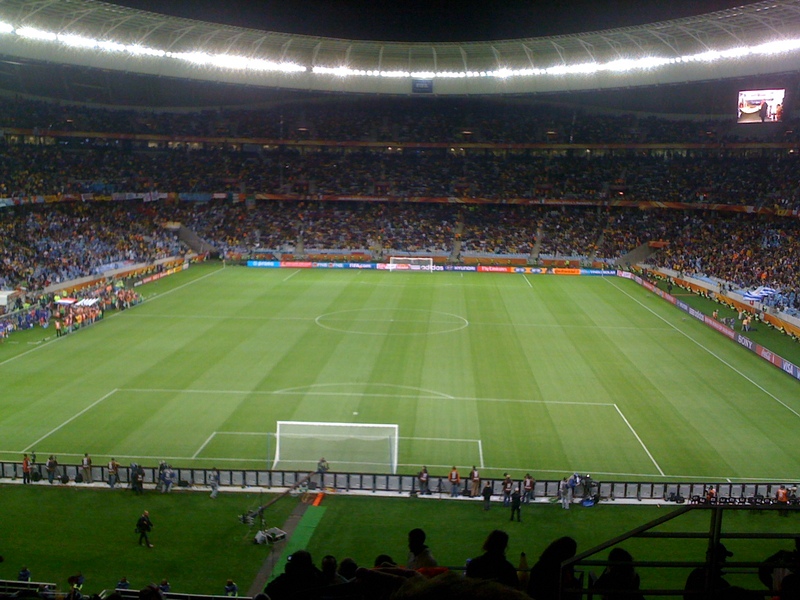 The pitch just before kick-off.